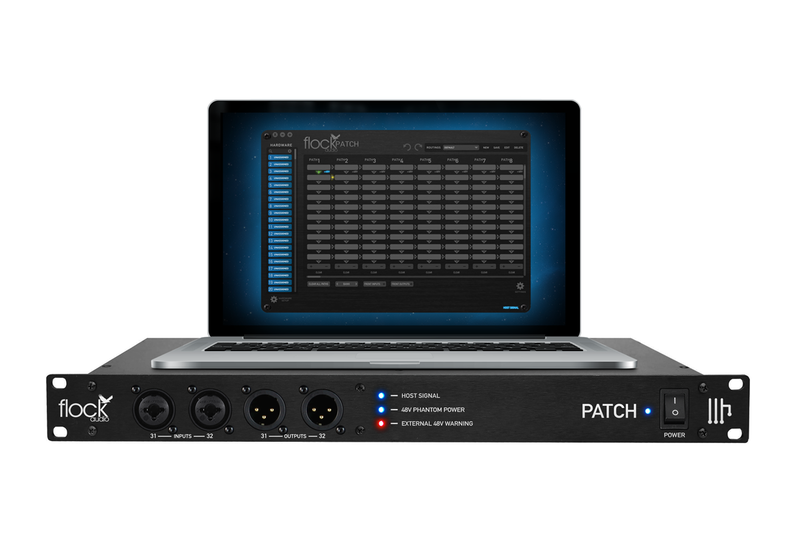 Reality dictates, however, that it’s the killer combination of PATCH APP software and 64-point connection-providing PATCH hardware working together in perfect harmony that makes the PATCH System what it is — the world’s most advanced digitally-controlled, 100%-analog patch bay routing system, allowing anyone to easily control analog audio routings without having to resort to the use of manual patch cables. Cable replacement comes courtesy of the MacOS- and Windowscompatible PATCH APP software. Skilfully accomplished, finely tuned, and intuitively powerful, it brings the simplicity of drag and drop functionality to the world of analog audio routing. PATCH APP is really the driving force behind creating complex or basic analog audio routings in seconds! PATH on the specific ‘digital rack piece’ that the user wishes to Mult from. And all without the impedance issues that come with traditional Multing, meaning that there is no chance of any split signal quality loss!